My Apple ID Is Disabled! Here's The Real Fix. You are at:Home»iPhone»My Apple ID Is Disabled! Here’s The Real Fix. Apple employees see disabled Apple IDs all the time. You enter your Apple ID and password, click Sign In, and it doesn’t work. You might see an error message that says your Apple ID is disabled, but a lot of the time, your iPhone, iPad, or Mac won’t say anything at all. Either way, you’ll end up right where you started, because no matter how many times you enter your password, even if it’s correct, you can’t log in if your Apple ID is disabled. 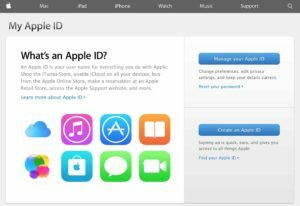 In this article, I’ll show you how to fix your Apple ID so you can log in and get back to using your device. Why Is My Apple ID Disabled? You entered your password incorrectly too many times in a row. It’s especially frustrating when you remember your password later that day. You haven’t used your Apple ID for a long time. When Apple changes the requirements for passwords or security questions, your Apple ID may be disabled until you log in and update your information. Keep in mind that Apple uses “disabled” and “locked” interchangeably with regard to Apple IDs. For the purposes of this article, “Your Apple ID is locked” and “Your Apple ID is disabled” mean exactly the same thing. The phrasing of the error message that led you to this article varies across devices. Macs and iCloud.com usually say that your Apple ID (or account) has been disabled (or locked) for security reasons. iPhones usually display a box that says “Your Apple ID has been disabled”, but they won’t tell you how to fix it. That’s what this article is about. You have two options when your Apple ID is disabled, and I recommend the first. People are often surprised to find out that Apple employees usually have no more access to your account than you do. They’ll just ask you the same questions you’ll find on Apple’s website, so it’s easiest to start there. I recommend you use a computer to visit Apple’s special Apple ID webpage, because it’s a lot easier to type Apple IDs, passwords, and security questions with a full-size keyboard. Everyone who owns an iPhone knows how easy it is to type in a password incorrectly. I’ve seen people make the same mistake twice when they enter and confirm a new password using their iPhone. It’s very frustrating when that happens. When you visit Apple’s website, click Manage your Apple ID, enter your Apple ID and password, and click Sign In. If you enter your password correctly, you’ll be prompted to reset your password or to update your security questions. If you don’t know your password, click Forgot your password? below the password box. After you reset it, return to Apple’s website and you’ll be asked to update your security questions the first time you log in. When your Apple ID is disabled, it’s not easy to fix it over the phone or in an online chat session. 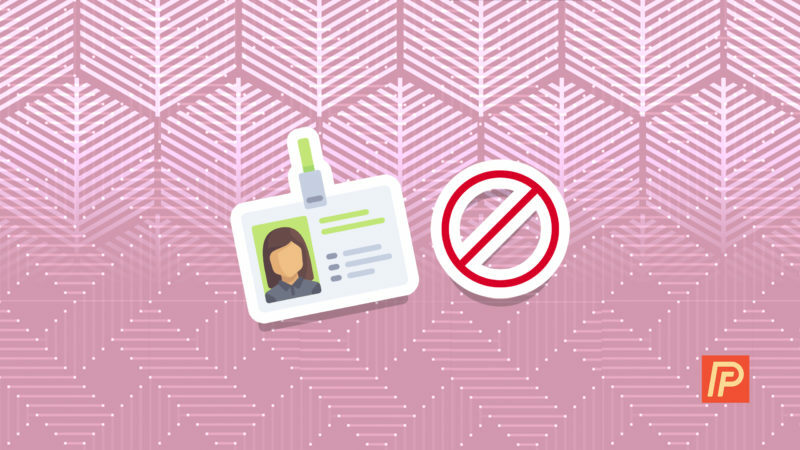 Trust is not a factor when it comes to Apple employees and Apple IDs. I know you’re you, you know you’re you, and they know you’re you, but most of the time, it doesn’t matter. Apple received a lot of negative press from last year’s security breaches in iCloud. There must be a better way than an attitude of unwavering mistrust toward their own customers, but I do understand why Apple has made it so difficult for users to use their Apple ID after it is disabled. If you’d like to talk to a person at Apple, the best place to start is (you guessed it) on their website. 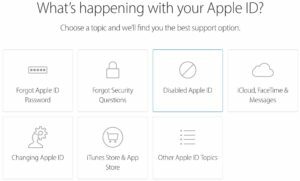 Visit Apple’s support website, select “Apple ID”, choose Disabled Apple ID, and you can set up a call with an Apple employee, start an online chat session, or email Apple support, depending on the time of day. You’ll know your Apple ID is no longer disabled when you can access the main account screen on Apple’s “Apple ID” webpage. Enter your Apple ID and password on your iPhone, iPad, or Mac, and click Sign In. You should be good to go! In this article, we talked about the most common reasons why an Apple ID is disabled, the options you have for getting help if you need it, and how to update your account information on Apple’s website. I’d like to hear how you fixed your Apple ID (and what went wrong in the first place) in the comments section below. Previous ArticleWhy Is My iPhone Battery Yellow? Here’s The Fix. Next Article Spam On My iPhone: Stop Spam iMessages And Texts!